Successful meetings and conventions require advance preparation. 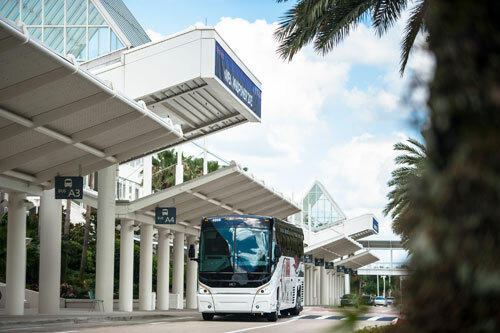 Transportation between sites, hotels and convention centers must be reliable and flexible. During major events and conventions, we can offer continuous round-trip shuttles to and from the event location. Round-trip drop offs are available for a single low price, and the shuttles can pass by most major hotels and parking lots. We are also available to assist your ground staff with our experienced local experts. MCO, JAX, MIA and all airports in between, we are a one stop airport transfer center. We can meet your group and transport them to their destination, safely. We are permitted for all Florida cruise ports; Port Canaveral, Port of Tampa, Port of Jacksonville, Port Everglades and Port of Miami. Let’s explore the beauty of the Everglades or see the rockets red glare at Kennedy Space Center. Its all available with one phone call. Go Magic! Orlando boasts the NEW Amway Arena, home to the Orlando Magic. Let’s take in a game, see a traveling show. Let’s explore the wonders of Wonderworks, and remember we are your local experts on Seaworld, Disney and Universal Orlando Packages for your group. 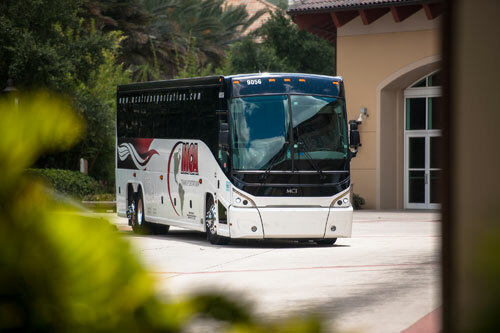 Motorcoach transportation is the safest form of transportation in the United States according to the National Transportation Safety Board. 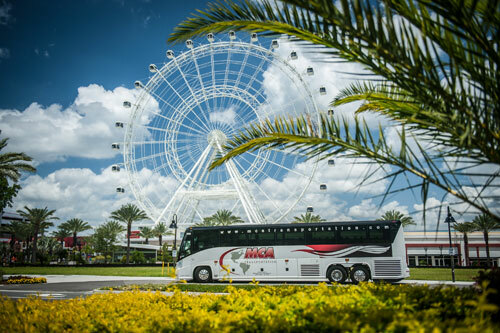 Whether it’s for a day, a weekend or longer, let us show you how to make your trip more fun when you go as a group on board one of our luxury motorcoaches. MCA Transportation holds the highest safety rating the USDOT awards. 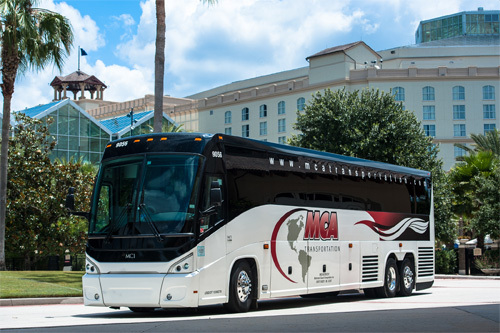 MCA Tours offers the most bang for your buck with our packaged group tours. We offer group tour pacakages from one day to multi day long distance excursions. Please, call 407-226-2256 or visit our tour website www.mcatours.net for more information. Our full size 56 and 57 passenger coaches are European made Van Hool’s and Setra’s. Each coach incorporates state of the art design and technology innovations which deliver the ultimate in safety, performance and satisfaction to our customers. Our Entire fleet is equipped with GPS tracking for your peace of mind! We have safely and expertly transported your children of all ages from day cares, pre-schools, public and parochial K-12 school districts from around the country to and from: Theme Parks to farms for pumpkins and petting animals; camps for team building and fun; exhibitions of human interest and local talents; shows from Broadway to School productions; concerts by world renowned musicians to local artists; tourist attractions seeing the beauty of nature in the Everglades to riding roller coasters; historical sites seeing reenactments or using their imaginations to see what happened there; spelunking (caving) discovering what is around the next corner; skiing the many southeastern hills not far away; exploring fossils in quarries; sports events or games throughout the country; educational venues like museums, aquariums, art centers, institutes, and planetariums; National Landmarks from the Lincoln Memorial to the Vietnam Wall and shuttling from one point to another within the districts. We have done it all — just ask — we have probably already been there. We are only located 1 ½ hours from St Augustine, Americas oldest city.